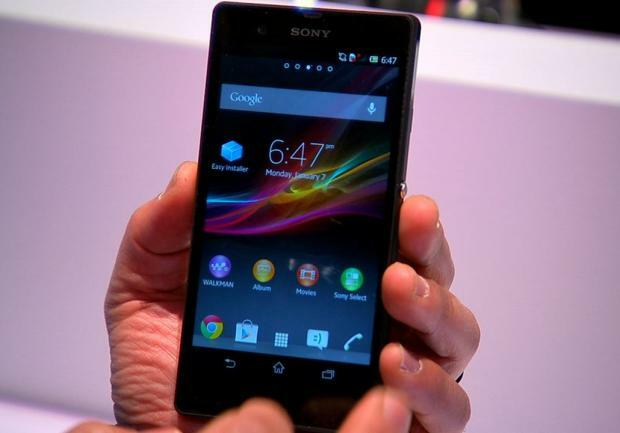 Sony has just stepped up its smartphone game with the new Xperia Z. The flagship handset boasts a number of high-end features including quad-core processing, a massive 5-inch screen, and a 13-megapixel camera. Xperia's premium feel is its screen, which is set flatly within the device's trim bezel. This edge-to-edge construction helps the already large display to appear even bigger. Another nod to the care Sony took in building this handset are the phone's buttons and controls. They sit flush against the handset's chassis, which further enhance its slimness and premium feel. In fact, despite the device's huge screen, it doesn’t look overly large. I also like the way Sony calls attention to the Xperia Z's circular power button, which is silver and relatively big compared with the wafer-thin volume rocker. Find yourself often caught in the rain or tend to be prone to liquid spills? Not to worry, says Sony, since the Xperia Z is designed to resist water as well. The Sony Xperia Z's impressive qualities are more than skin deep. Under the hood you’ll find a 1.5GHz quad-core Snapdragon S4 Pro processor driving the phone’s Android 4.1 Jelly Bean software. To shoot images, the handset features a 13-megapixel camera with a backside illuminated sensor. That means the camera app has a useful HDR mode to tackle still shots under low-light conditions. One interesting twist is that Sony claims the Xperia Z can also enable its HDR mode while capturing video, the first smartphone I’ve heard to do this. Other camera features include a burst mode, panorama, plus a bevy of special filters and effects. Since this is a global handset, the Xperia Z operates on GSM networks but should connect to 3.5/4G HSPA+ infrastructure for quick data access. The Xperia's high-capacity 2,700mAh battery is not removable, but the device does have a microSD slot to add additional memory. I have to say I’m impressed with the Sony Xperia Z. It’s the slickest and most compelling handset I’ve gotten my hands on from the company. No pricing or availability has been announced just yet, but I suspect the device will arrive sometime this spring.